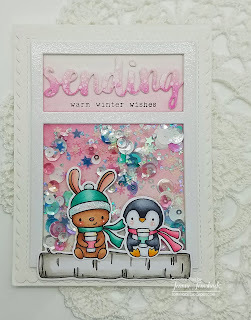 Creative Bliss: Fun With Hello Bluebird! So glad you got to spend the last day of your break hanging out in your happy place. 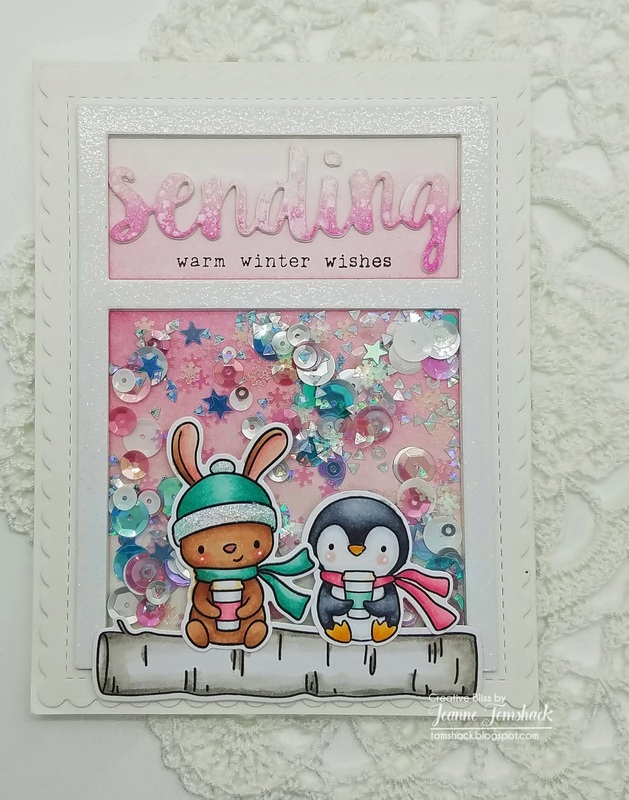 Your cards are both darling --loving your coloring skills and all the added glitter and the sparkling shaker too! TFS! Hope your first day back at work was a good one. I see you made the very best of your final day of the school break … and WE get to reap the benefits! 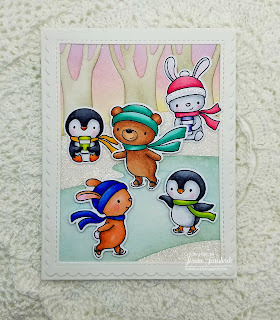 Jeanne, I am amazed by your Copic skills... and now I see that those skills extend to blending as well! These are both so soft and sweet and DARLING!! What colors did you use for your penguins? I recently had to color some and all I had to use was W1,W3 and W7.... yours are so nice!! GREAT job! I'm so happy for you that you are sharing your incredible cards!! Oh My Jeanne - These are so super ADORABLE!!! LOVE them! HUgs! Oh gosh these are adorable! A new company I've been dying to try too! Jealous here!